Though finicky and often unpredictable, Mother Nature has proven to us time and again that she is not to be underestimated. As storm season is now upon us in our neck of the woods (hurricane season officially opened on June 1), the time is now to prepare for bad weather, keep your family safe and learn how to protect your personal property from power surges during storm season. Why Do Power Surges Happen? When lightning strikes your house or the area around your home it can make its way into your electrical system and through your television, cable and phone wires. This can cause immediate damage. This is especially relevant to Florida where over a million lightning strikes happen each year. Power companies often experience power surges, sometimes during storms and sometimes not. Often this is because the flow of electricity has been interrupted and then re-started. No matter the reason, it’s not fun when your brand new 60-inch flatscreen doesn’t work after a lightning storm or a hiccup at the power company. We can’t prevent power surges, but we can take steps to protect our homes against them. Surge protectors come in different forms but they all serve the same purpose. When installed correctly, surge protectors safely divert the path of an electrical surge and allow the high levels of energy to safely be disbursed away from your home. Think of it kind of like a semi-truck diverting from a highway on a runaway truck ramp. Most experts agree that when it comes to surge protection for the home, a multi-layered approach is key. The most basic layer of protection requires that a licensed electrician install a whole home surge arrester at your electrical panel or meter. From there, additional protection at the level of outlets and power strips is necessary to provide the best possible outcome in the event of a surge. When we fail to prepare, we prepare to fail. As trite as that sounds, it’s just true. The importance of installing surge protection (also called lightning arresters) may be the last thing on your mind, but in Florida (and other hurricane season-affected states) it’s truly a no-brainer. a) Safeguard your electronics and your panel with surge protectors. When you consider the potential damage, the investment required to install surge protection is quite small. b) If you don’t have surge protection, unplug your electronics (such as DVD players, computers, TVs, stereo equipment, etc.) during a severe storm to minimize potential damage. If when you leave in the morning for work you see that a thunderstorm is on the forecast, stay on the safe side and prevent damage to electronics by unplugging them for the day. c) Install a generator. You won’t truly appreciate the value of a generator until you’re out of power for days or weeks. If you have the ability to install a generator and you live in a storm-prevalent region, this back-up power supply comes highly recommended by us. They have become more affordable nowadays and will guarantee a hot shower when you need it the most. d) Ensure all outdoor outlets with exposure to moisture have weather-resistant cover plates and light fixtures are properly mounted to avoid water intrusion. e) In the event of predicted flooding, turn off your electrical power supply to your home before evacuating. If you’re ready to explore surge protection options for your home or want to do a general safety inspection to ensure your home is ready for any bad weather, reach out to us! Call 727-755-1805 or email us at info@gulfstarelectric.com, or simply fill out the form on this page. 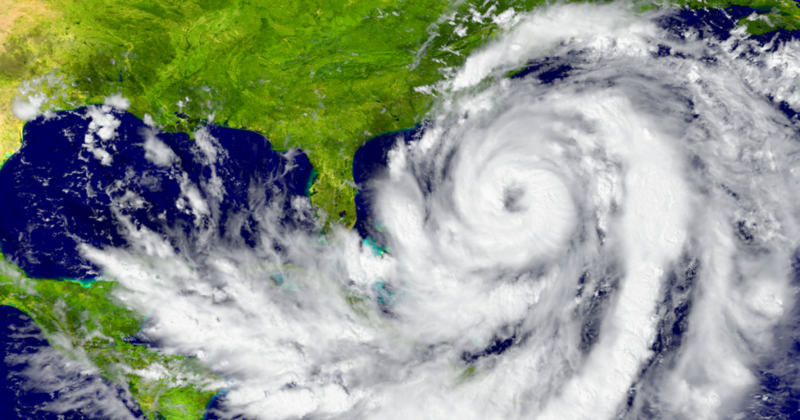 We wish you a safe and dry hurricane season!